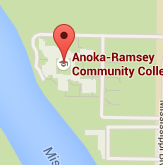 The Communication Studies Department at Anoka-Ramsey focuses on building student skills which are used every day to connect thought and language, maintain relationships, obtain employment, and advance rank, regardless of one’s field. Communication Studies is an essential component for any major of study and a stepping stone to help ensure a successful career pathway. Our students benefit from engaging in an assortment of interpersonal and intercultural communication settings which give them the tools to succeed in any workplace environment. Faculty in the Communication Studies Department are outstanding teachers and expert communicators, with professional experience across the communication spectrum. Students gain the tools and confidence needed to succeed in any workplace by learning to communicate effectively in a variety of interpersonal and intercultural settings. The Communication Studies Degree & Transfer Pathway focuses on coursework in the following communication areas: interpersonal, intercultural, small group and public speaking. This program guarantees transfer into specific designated majors at the universities within Minnesota State. The Communication Studies Department provide a rich climate for the study of communication as all classrooms are equipped with Internet computer access and have software available for media-based presentations. In addition, we offer video cameras to assist students with personal speech examination and feedback analysis. Using these technologies, students learn how to organize and present a variety of speeches while gaining the necessary skills to be confident, articulate professionals. We offer a wide range of learning opportunities such as fully-seated, web-enhanced (hybrid) and online courses. Faculty members also use D2L Brightspace, a complete web-based tool compiled of teaching and learning alternatives used for course development and maintenance. Using D2L Brightspace allows instructors to creatively arrange their classes according to individual teaching approaches while preserving the integrity of classroom discussion and cooperative spirit. The Anoka-Ramsey Community College student news, The Campus Eye, was recognized with four awards at the Associated Collegiate Press Best of the Midwest conference in Minneapolis, Jan. 29-31, 2016. "My education will allow me to live a better life, and to set an example for my children." "I loved each one of my instructors, regardless of the subject or class size. Their willingness to engage with students one-on-one, offer assistance, and promote success was extremely beneficial to me and contributed to my overall wonderful experience at Anoka-Ramsey. Overall, the personal connections that I made during my time at Anoka-Ramsey added greatly to my experience and education." 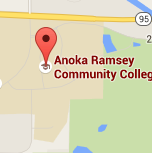 "One thing I want people to know about Anoka-Ramsey is that just because it’s a community college, doesn’t mean that you’re getting any less of an education than you would at a big university. The professors are wonderful and classes are challenging. You really feel like you’re getting an education that’s worthwhile."